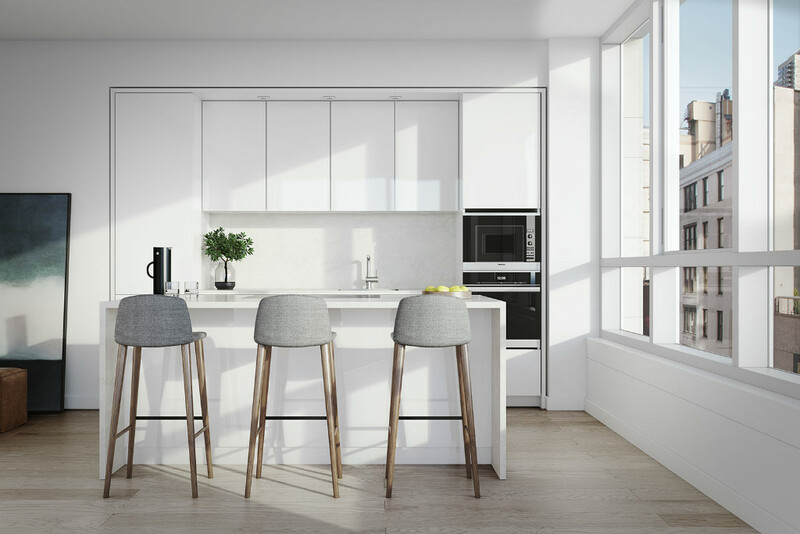 The Clare is a new residential development located at the nexus of Midtown and the Upper East Side at which natural light is the centerpiece of every home and public space. 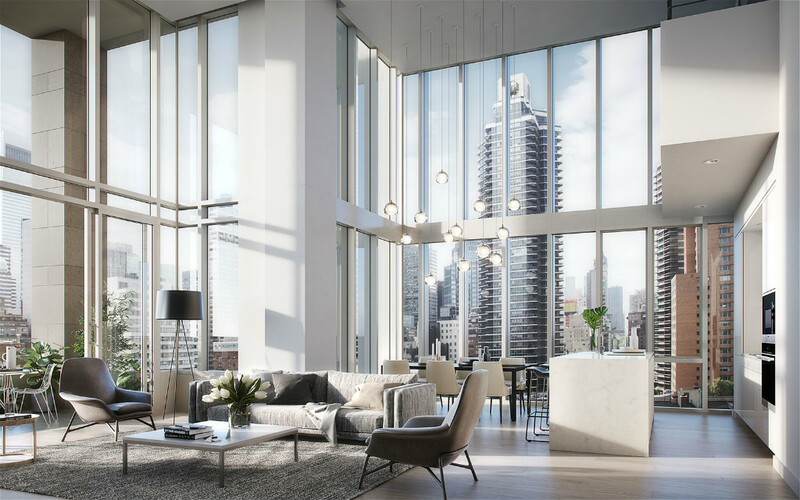 The 19-story condominium’s unmatched design features a beautiful facade of panels by Porcelanosa, natural Indiana limestone and oversized glass windows. 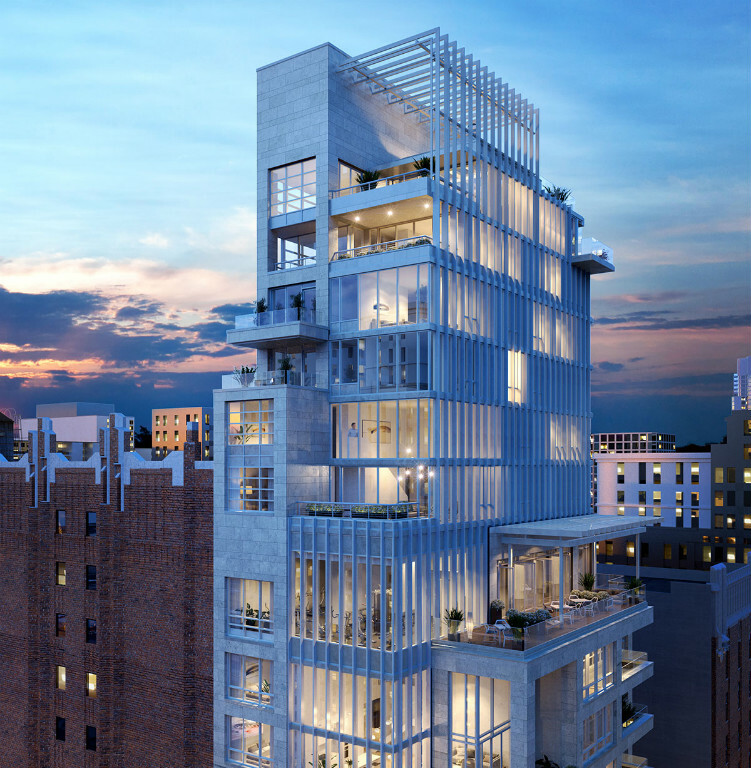 Studio to generous three-bedroom residences range in size from 558 to 3045 SF, several of which are multi-story. 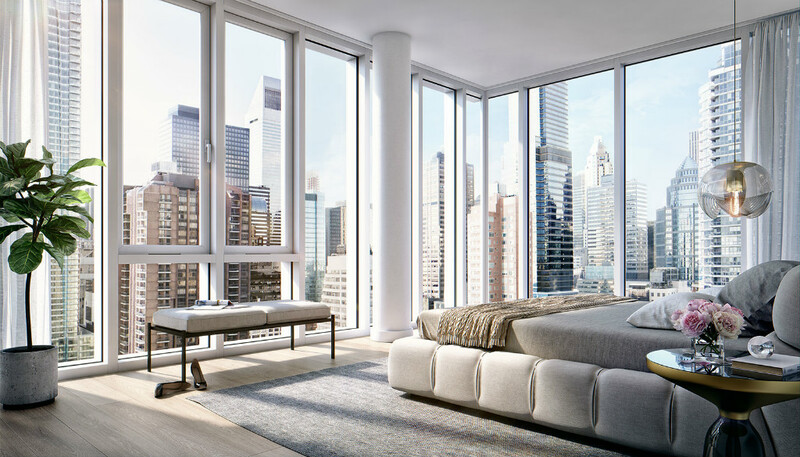 Many feature high ceilings of up to approximately 18’ 2", double-height windows, private outdoor space and multiple exposures that provide spectacular views of the city. Residence features include radiant-heated white oak flooring throughout, LED lighting, and washers and vented dryers. Sleek, open kitchens offer a full range of appliances by Miele, matched perfectly by custom Poggenpohl cabinetry and quartz-topped counters. 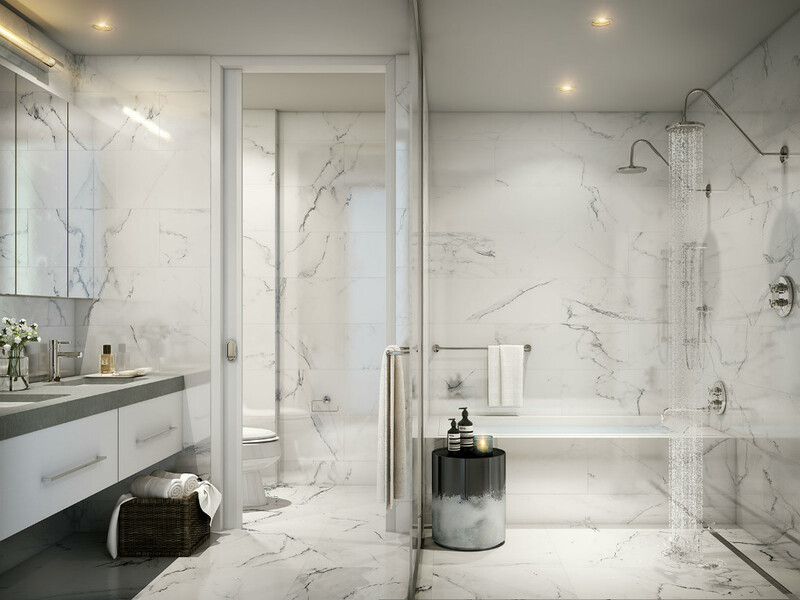 Five-fixture master bathrooms are outfitted with oversized Carrara Blanco-style floor and wall tiles by Porcelanosa and include serene wet rooms with Kohler soaking tubs and open showers behind frosted-glass partitions. Services at The Clare include a 24-hour attended lobby, an on-site resident building manager, cold and package storage and a bicycle room. A full-floor of amenities is home to a fitness center with adjacent 800 SF landscaped terrace, dining room, and living room with media center.